Director David Chase will see his film Not Fade Away make its world premiere as the Centerpiece Gala selection of the 50th New York Film Festival; not bad for a debut director! The Sopranos creator/writer brings this coming-of-age tale, set in 1964 where a group of friends decide to form a rock band, led by new-to-the-scene, John Magaro. With a soundtrack produced by Steven Van Zandt, Not Fade Away also stars Jack Huston, Will Brill, Bella Heathcote, James Gandolfini, Brad Garrett and Christopher McDonald. Look for the film to see limited release starting December 21st. Hit the jump for the full press release and some new images from the film. NEW YORK, August 15, 2012 —The Film Society of Lincoln Center announced today that David Chase’s NOT FADE AWAY will make its World Premiere on Saturday, October 6 as the Centerpiece Gala selection for the 50th New York Film Festival (September 28-October 14). 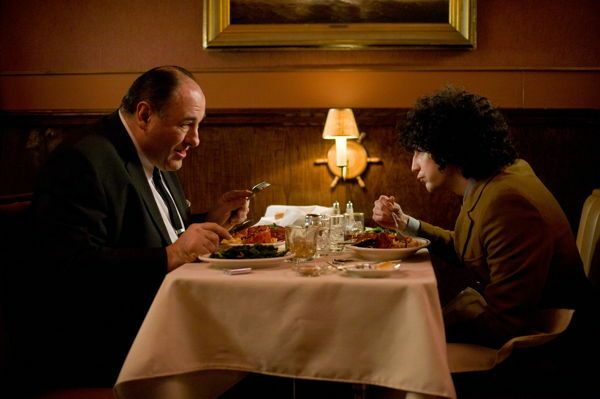 Making his feature directing debut, David Chase’s (The Sopranos) coming-of-age movie is set in New Jersey in 1964 where a group of friends are inspired to form their own rock band fronted by a gifted singer-songwriter (terrific newcomer John Magaro). The film masterfully captures the era’s conflicting attitudes and ideologies, all set to a dynamic soundtrack produced by the legendary Steven Van Zandt. The film also stars Jack Huston, Will Brill, Bella Heathcote, James Gandolfini, Brad Garrett and Christopher McDonald. To be released by Paramount Vantage, the film’s roll-out will begin on December 21, 2012. The New York Film Festival is generously sponsored by Royal Bank of Canada, American Airlines, The New York Times, Stella Artois, HBO, WABC, Trump International Hotel and Tower, the National Endowment for the Arts and New York State Council on the Arts. General Public tickets will be available September 9th. There will be an advance ticketing opportunity for Film Society of Lincoln Center Patrons and Members prior to that date. For more information visit www.Filmlinc.com/NYFF.